Whether they are saving pennies, launching a campaign or hosting a lunch, Presbyterians across Canada are stewards of the blessings of God, sharing the gifts we’ve been given to build a more sustainable, compassionate and just world. Here are four inspiring initiatives led by congregations and youth responding to God’s call to act. 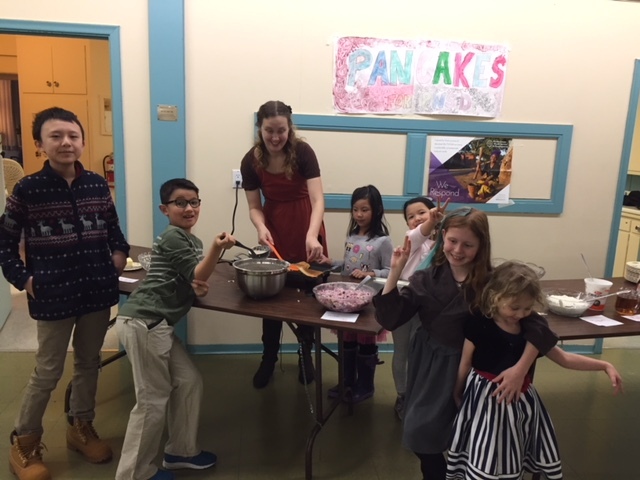 Last February, the caring Sunday school class at St. John’s Presbyterian Church in Toronto, Ont., hosted a pancake lunch in support of PWS&D. After performing a short play to illustrate PWS&D’s mission and vision, the children invited guests to feast on pancakes, yogurt and fruit while they passed around a donation basket. “St. 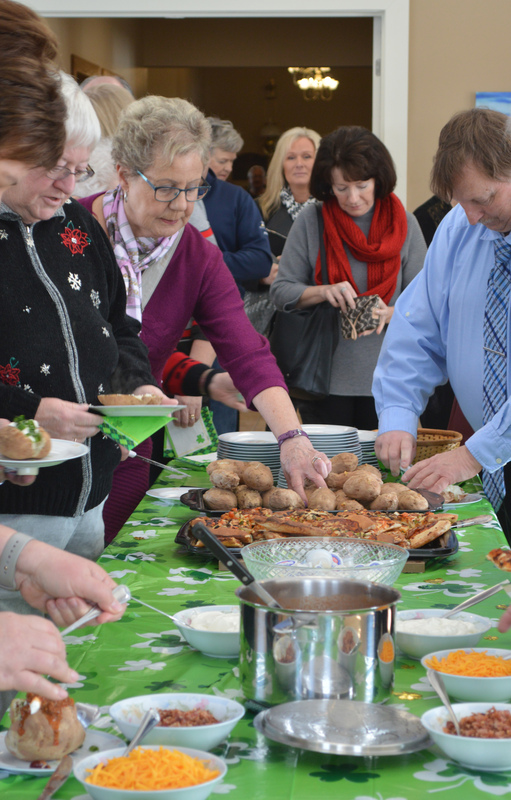 John’s pancake lunch raised over $900 for PWS&D,” reports Laurie McGugan, event organizer. 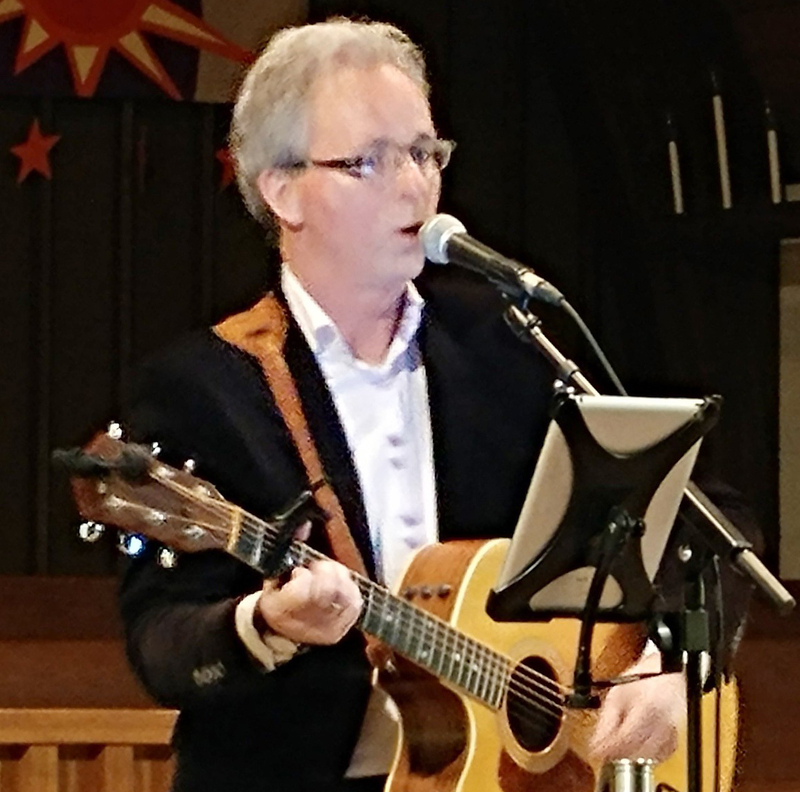 On February 17, Knox Preston Presbyterian Church in Cambridge, Ont., hosted their fifth annual Taste of Tartan dinner and concert to a sold-out crowd. A night of folk music and food served up with Scottish flavour brought in $1,410 in support of PWS&D’s girls education project in Afghanistan. In March, the children at Summerside Presbyterian Church in P.E.I. 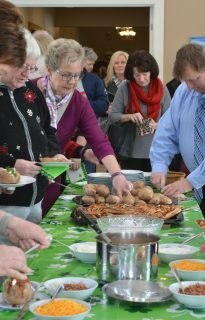 hosted a “potato bar” fundraiser at the church, where guests dressed up baked potatoes with their favourite toppings. The proceeds totalling $574 were donated to PWS&D’s Sunday School Challenge, Farming for the Future, which helps farmers in Guatemala learn to grow more crops and rise above hunger. “God works through us in the most amazing ways,” shares Debbie Richard, youth leader at Summerside. Children from St. Luke’s Presbyterian Church in Salt Springs, N.S., were busy chopping vegetables to help farmers in Guatemala grow more on their land! 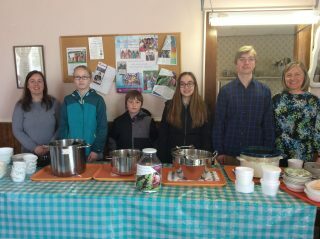 The youth cooked and served up bowls of soup for a stone soup fundraiser in support of Farming for the Future. Exceeding their goal, the small congregation raised $340—more than enough to help a family have nourishing food for the future. We want to hear from you! Send your stories and photos to Anna Muir or mail them to the church office. For help starting your fundraiser, click here or contact 1-800-619-7301 ext. 293 or pwsd [at] presbyterian [dot] ca for more.